In a bowl, sift together the flour and salt. Add in the water and 4 tablespoons of the butter. 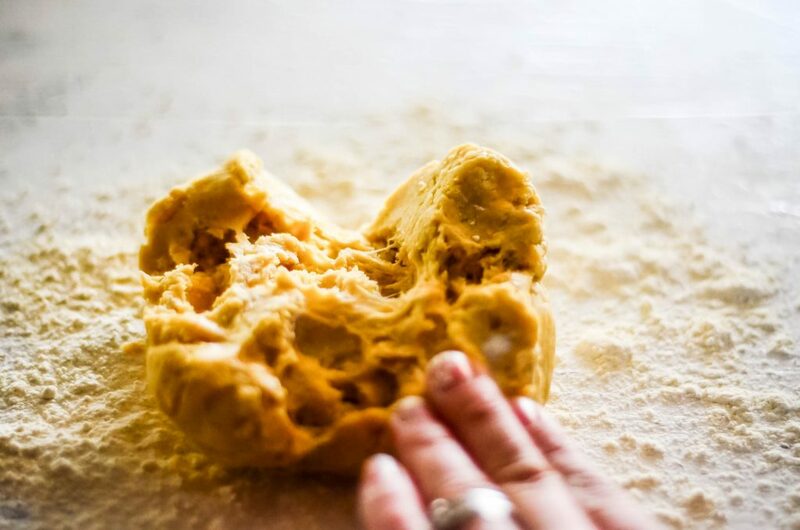 Use your fingers to gently work the dough into a ball. Wrap the ball in plastic wrap and stick in the refrigerator for 30 minutes while you go snuggle the new baby lambs. Or, ahem, focus on the next step. Lay down a 12″ piece of parchment paper. 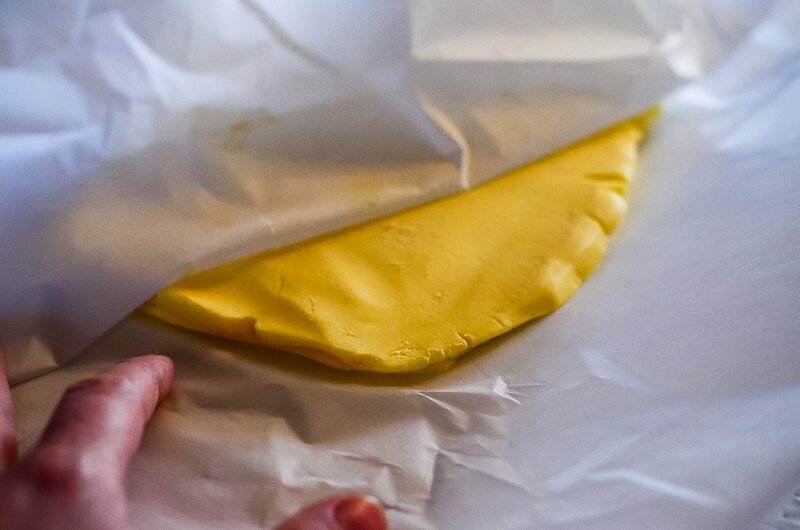 Place the remaining 16 tablespoons of butter on top of the parchment paper and cover with a second piece of parchment. 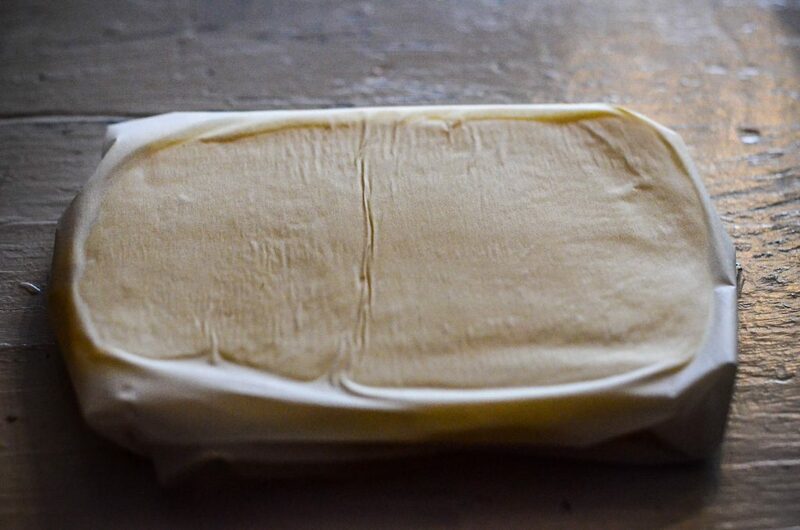 Use a rolling pin to shape the butter into a 5″ x 8″ rectangle-ish. Place in the refrigerator for 30 minutes to chill slightly. NOW you can go snuggle the baby lambs. Now, remove the ball of dough from the refrigerator. Cut a large ‘X’ in the top of the ball and pull each corner out, like you’re opening a gift box! This will help to begin the rectangle shape were aiming for. 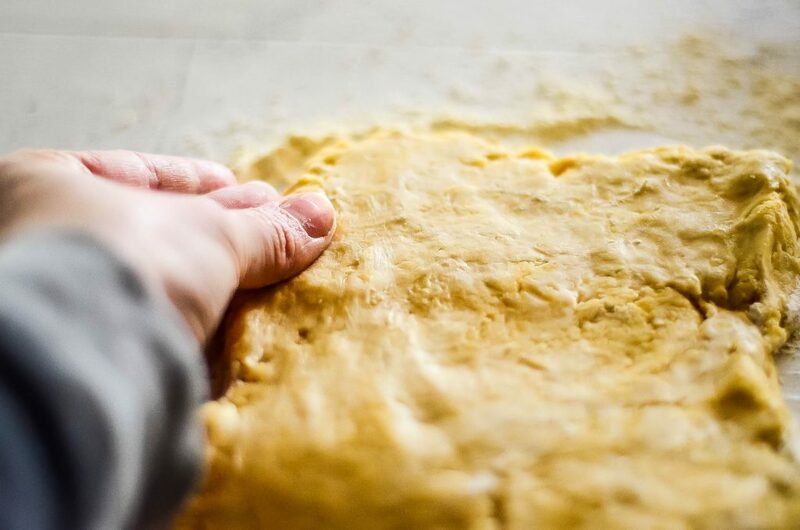 Lightly flour your work surface and begin to gently roll the dough out into a 10″ square-ish, rectangle shape. 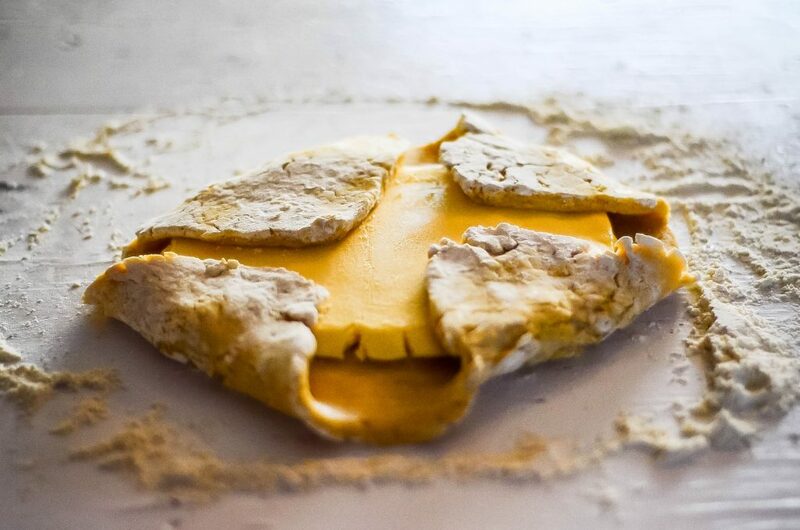 Place the flattened butter in the center of the dough and fold in the corners. 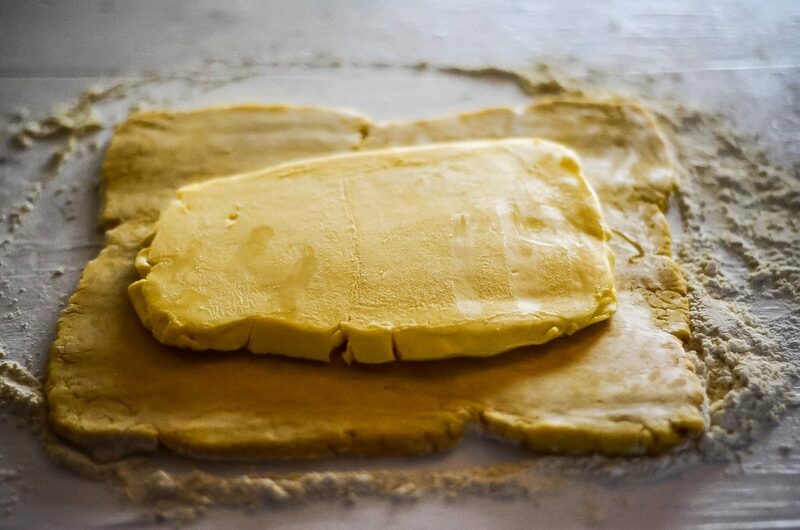 Roll out gently to combine the butter and the dough into a rectangle. 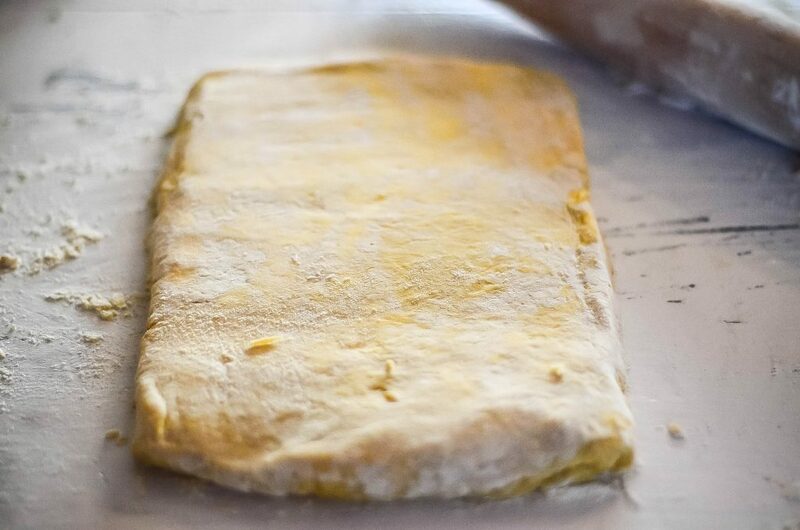 Turn the dough so that a short side of the rectangle is facing you – fold the dough into thirds, like an envelope. Gently roll this into a rectangle. Cover with plastic wrap and refrigerate for 30 minutes. 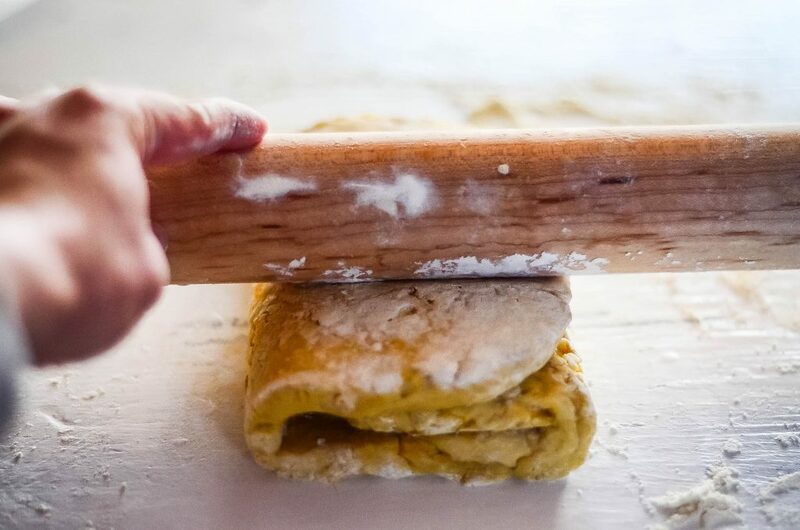 Remove the dough from the refrigerator, fold it into thirds again, and gently roll into a 8″ x 12″ rectangle. Cover with plastic wrap and refrigerate for 30 minutes. Repeat the folding/rolling/chilling routine 5 more times. You know what we’re doing here? 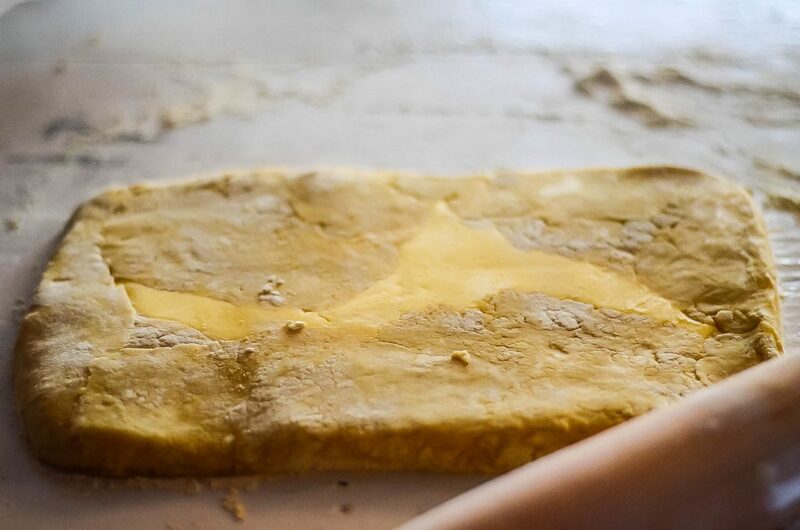 We’re building layers of flaky dough. 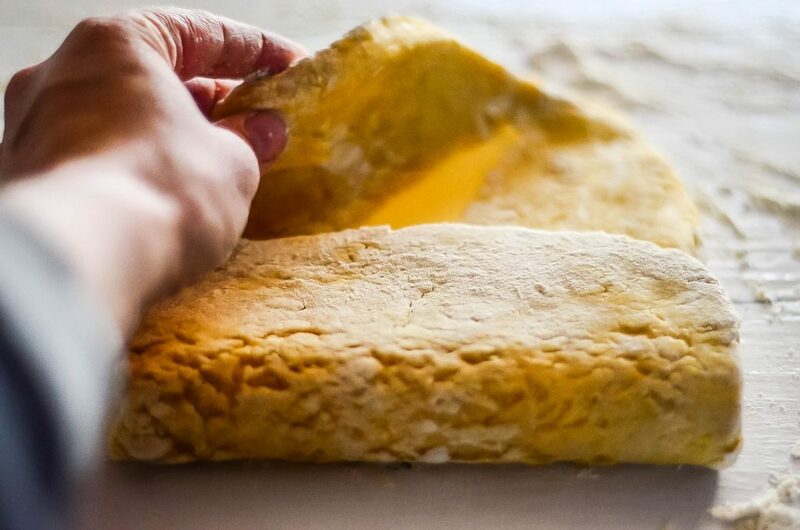 Each time we fold and roll, we’re creating a new layer of buttery awesomeness. 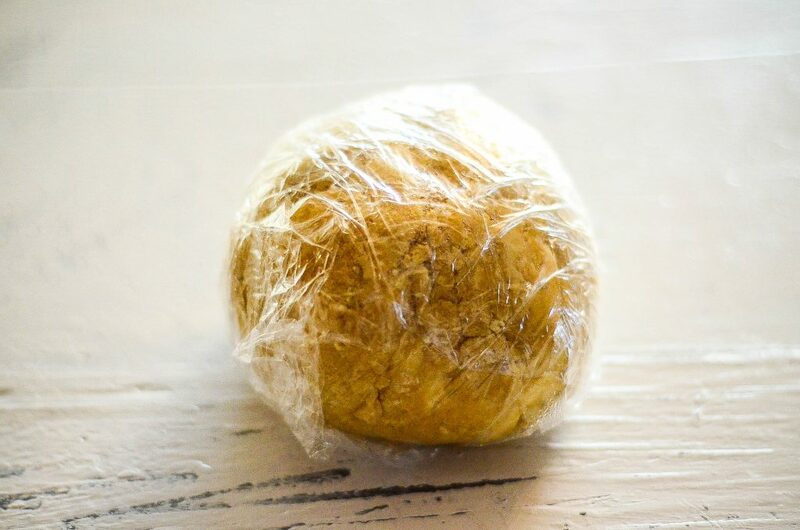 The dough can be held in the refrigerator for 3 days or in the freezer for up to 1 month!